Borla Quad Tip Exhaust for the Sierra/Silverado. Which tips do you prefer? Hello all. 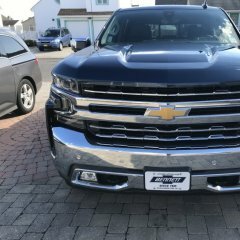 I apologize for the second thread regarding the Borla Exhaust for the 2019+ Silverado/Sierra 1500, but we wanted to make a poll on this one. Here is the link to our original thread for those who have not seen. Link: We will be offering systems that work with the factory valance tips, but we are also planning to offer systems with quad tips. We did want to get your feedback regarding which chrome tip style you would prefer, Round or Square. Systems will also be offered with Round Black Chrome Tips and Round Carbon Fiber Tips(both tip styles not pictured). Here are some photos of the Round Chrome and Square Chrome tips. Please let us know what you think! Hello all. 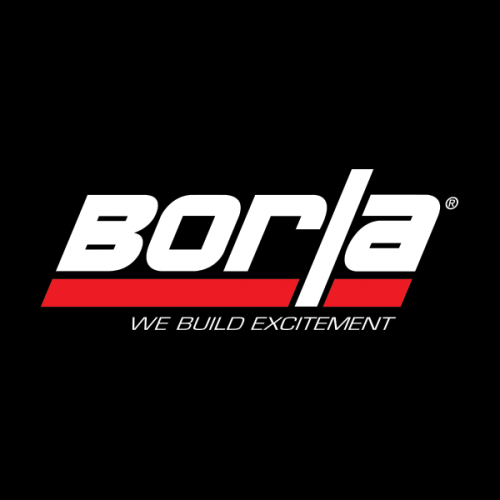 The GM Performance systems for the 2019 Silverados are indeed made by Borla. They are made according to GM's specifications and are separate from the aftermarket Borla systems. Thank you all for your input so far! Unfortunately, we will not have any videos/sound clips until we release our parts. Sorry! Also, we do plan to offer systems that will retain the use of the factory tips and systems with quad tips. BORLA Exhaust for the 2019+ Silverado 1500 (In Development) Each BORLA exhaust system is made with T-304 stainless steel to give you the best in durability and performance. We strive to provide you with high quality products and stand behind our systems with a Million-Mile Warranty. We are excited to offer a number of exhaust options for the 2019 Chevrolet Silverado 1500 and GMC Sierra 1500, allowing you to customize the way your Silverado or Sierra looks, sounds, and performs. 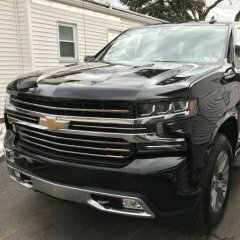 BORLA R&D has been working on the 2019 Silverado/Sierra and we would love to hear from all of you! We will be offering exhaust systems that will work with the valance tips, however, we are also considering offering systems with quad tips to replace the factory valance tips. The quad tip system you will see in the photos feature our carbon fiber tips. Would a quad tip system be something of interest? Or do you all prefer the factory valance tips? Please feel free to ask us questions and give us your feedback! Borla Exhaust for 2015+ GMC Canyon/Chevrolet Colorado Cat-Back Exhaust S-Type part #140645 Fits: 3.6L V6 Crew Cab-Short Bed, Extended Cab-Long Bed, and Crew Cab-Long Bed(needs adapter part #60570) Cat-Back Exhaust S-Type: Link: https://www.borla.com/products/canyon_colorado_catback_exhaust_stype_part__140645.html Adapter (Crew Cab with Long Bed): Link: https://www.borla.com/products/canyon_colorado_adapters_part__60570.html If you have any questions please feel free to call us at 1-877-462-6752(Monday-Friday 7:30am-4:00pm PST). Thank you!